LOST CAT – MISSING/STOLEN! REWARD OFFERED!!! 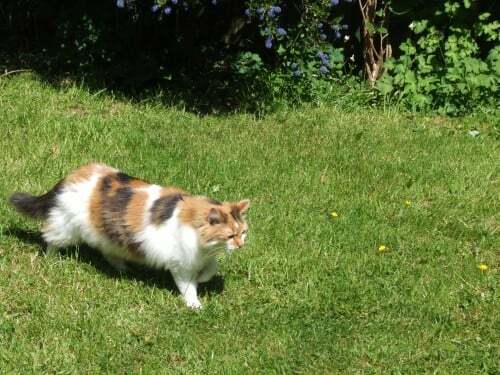 My Calico / Torti Cat, Annie, went missing from CV33 Lighthorne Heath Village, near Gaydon, Leamington Spa, Warwickshire; just before Christmas, 23rd December 2014. Annie is a medium long haired Calico / Tortoiseshell mix of orange, black & white fur. 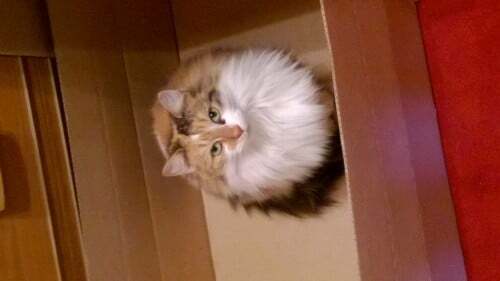 She is very fluffy and very timid! 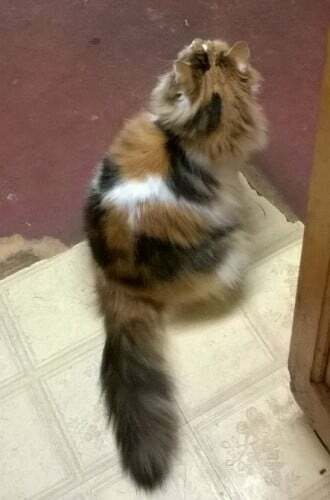 She has Torti colours on the top of her head, top of her back and partially her sides, and all of her tail (which is very bushy) the rest of her is white. Annie has been spayed, but was not wearing a collar, and she is not microchipped – so if someone has her they may have added these themselves. I am just DESPERATE to know she’s OK!! Please share Annie’s profile to your social media accounts. Thank you for your help.